Home / STORE / Naasgransgarden. 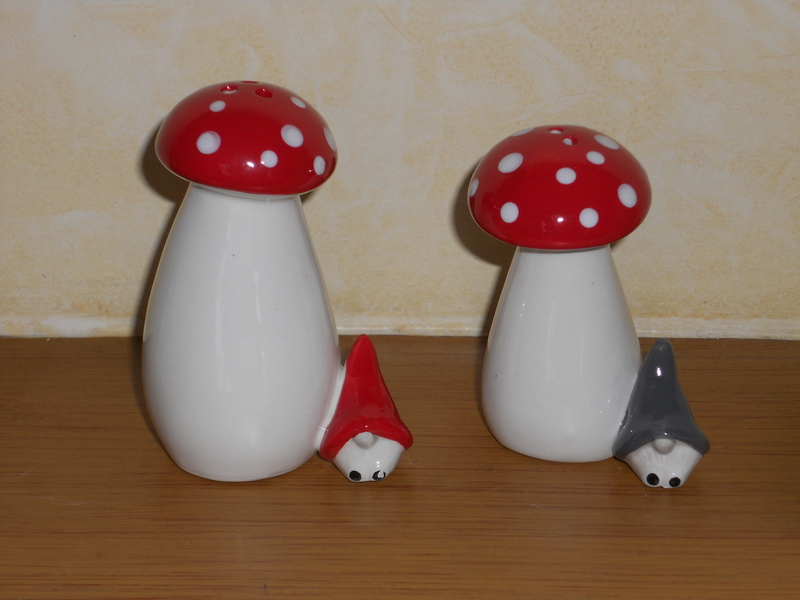 / Salt & Pepper Nisse on Mushroom. Nisse Red hat and Nisse Grey hat watch over the salt and pepper mills making sure non is spilt. Ceramic mushrooms with Nisse hiding in the shade of the mushroom canopy. height is 8-9 cm.